The march of popular bread headed towards the port of Hodeidah reached Khamis Bani Saad area in the province of Al-Mahweet amid a popular crowd reception. 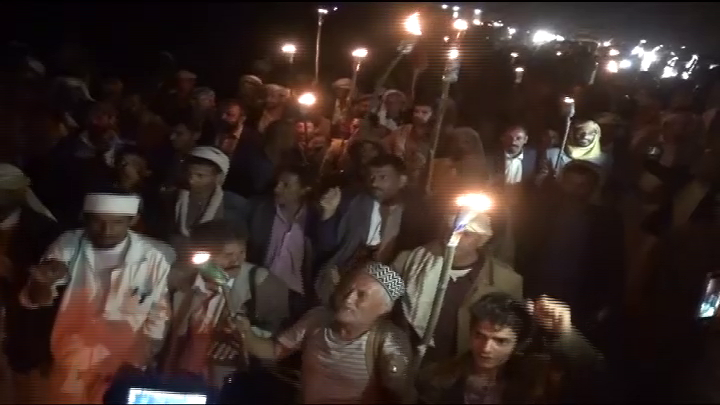 The official spokesman for the popular bread march, Munther al-Asbahi, praised the great popular support that welcomes the march of bread in the areas that passed through, stressing that the march expresses all the Yemeni people and meets their aspirations, the most important of which are to stop the Saudi led coalition and lift the siege. He called on the Yemeni people Yemen to join and participate in the popular march to the port of Hodeidah to refuse targeting the port, which is the main artery for the entry of more than 80 percent of food and medicine for the Yemeni people.